This bangle bracelet is made with a tarnish free rhodium plate finish. The round charm is 20mm which is about the size of a penny. 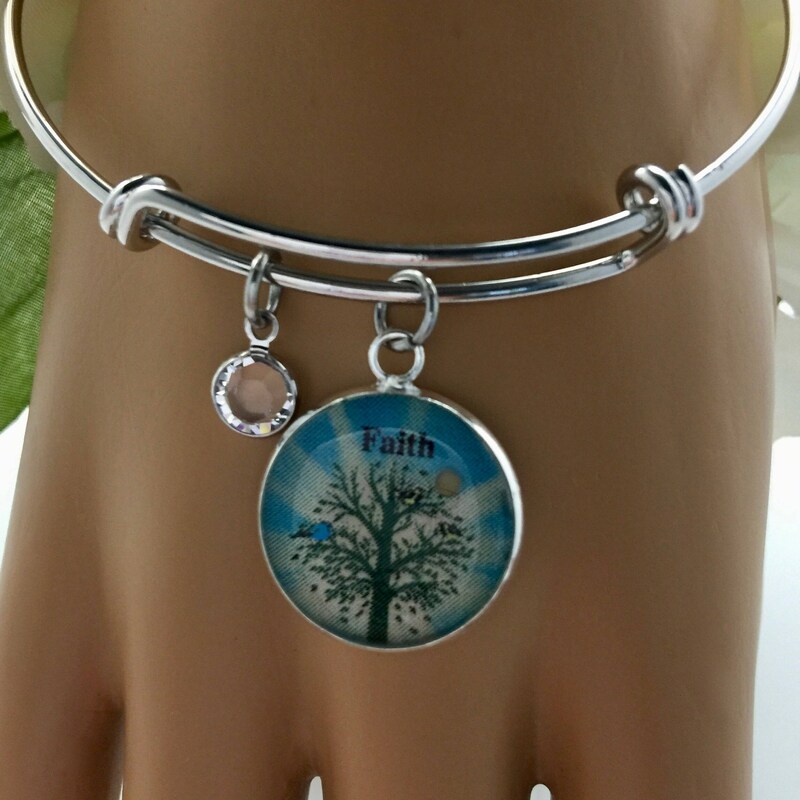 The charm is set in silver plate with art of a tree with 3 little birds and a real mustard seed; all set in jewelers grade resin to protect the art and the mustard seed. The tiny crystal dangle is an original Swarovski crystal in a rhodium plate setting. The bracelet comes in two sizes. Small is 2.4" and expands to fit girls and most women with a small wrist. The Medium/Large is 2.6" and expands to fit all wrist. If you are unsure of the size order the Medium/Large as it is the standard size. 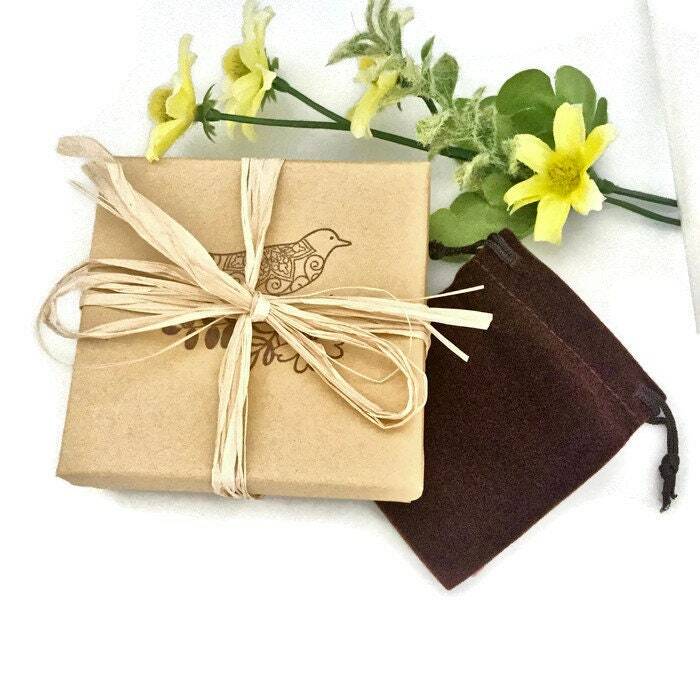 It will come in a gift box of your choice of white or kraft with a coordinating velvet jewelry pouch. 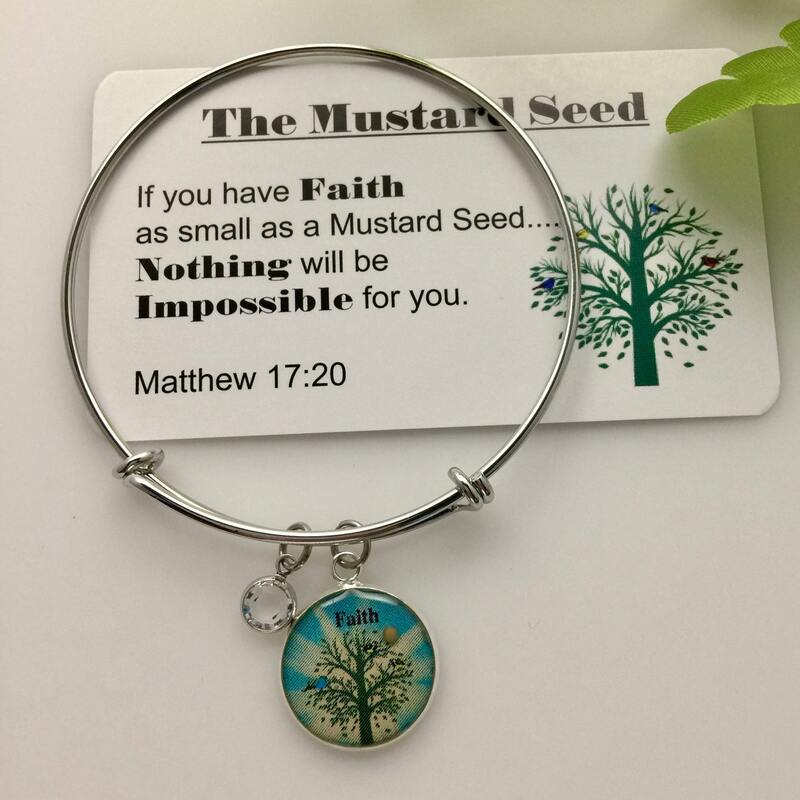 This is a beautiful and meaningful way to carry a mustard seed as a reminder of God's word in Matthew 17:20 which reads: If you have Faith as small as a Mustard Seed...Nothing will be Impossible for you. 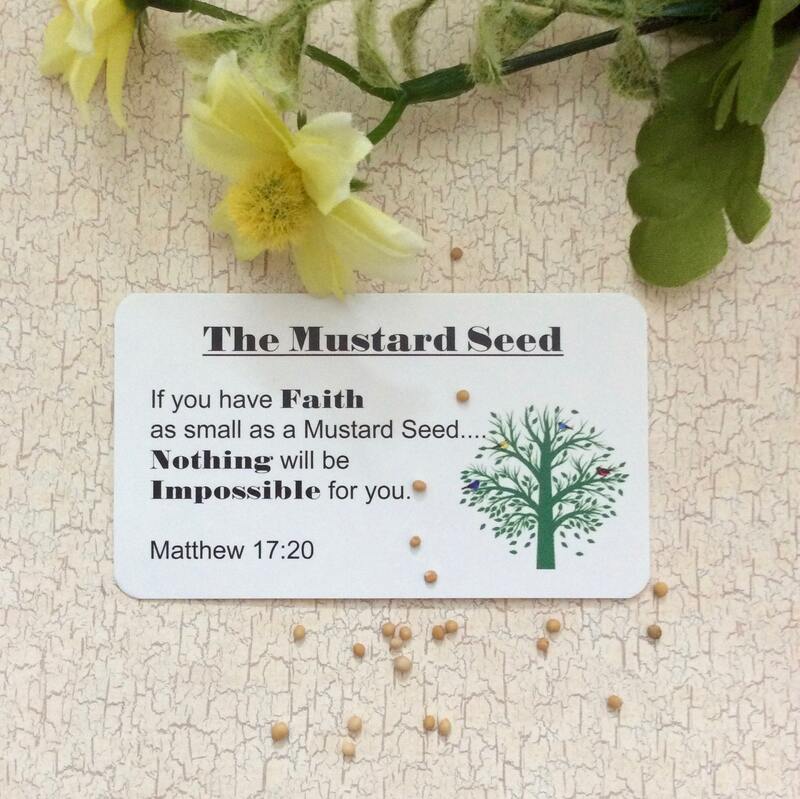 Just think of the possibilities you have if you only have a tiny amount of faith, the size of a mustard seed. 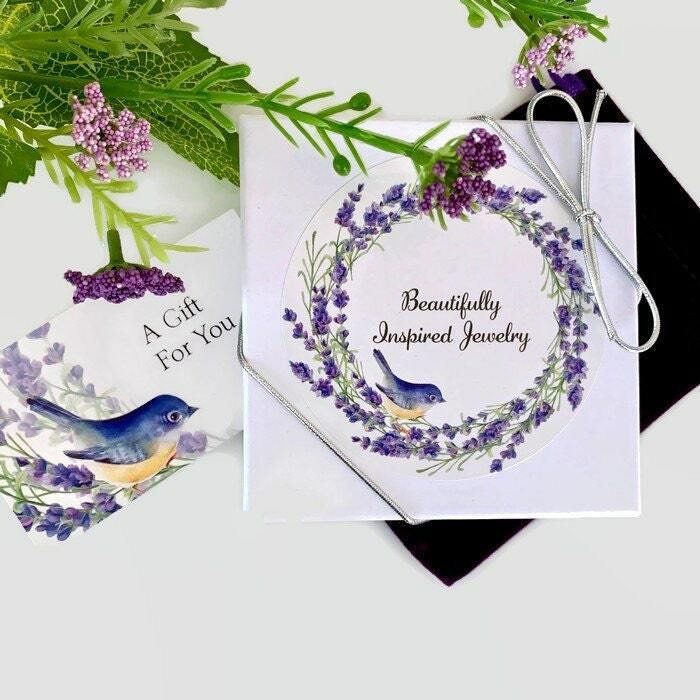 A wallet size scripture card and a beautiful velvet jewelry pouch is included in the gift box. Beautiful charms and bracelet, shipped quickly!! Thanks so much!